As of January 1, 2019, Focus on Gerbera is a cooperation under the new name of Summit Gerbera. The purpose of the new structure is to intensify the cooperation between growers and to prepare for the future. Summit Gerbera consists of nine growers of large-flowered gerberas and mini-gerberas. In total, the cooperation covers an area of 32 hectare. Jaré Reijm, chairman Summit Gerbera: "With a view to the future, we see more chances and opportunities when we, as individual growers, join forces. We are going to cooperate more in the fields of sharing knowledge, growth exchange, sustainability, and packaging. By cooperating more intensively, we also create more support." With large-flowered gerberas and mini-gerberas, Summit Gerbera mainly aims at the higher retail segment and wholesaling in France, Germany, and Eastern Europe. Jaré Reijm: "With a high service-mindedness, digitization, and a large assortment with possible expansion, we expect to be ready for the future. With the large assortment we want to function as a one-stop shop." In the spring, a customer day is planned on which the brand new cooperation will present the logo and the new branding. 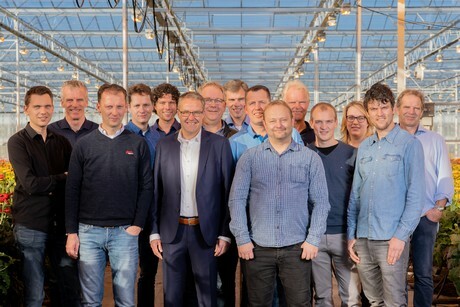 As of January, Summit Gerbera has one main number at auction Royal FloraHolland, and all members have one sub-number. "This has to increase the overview and clarity in the communication of Summit Gerbera and our members."